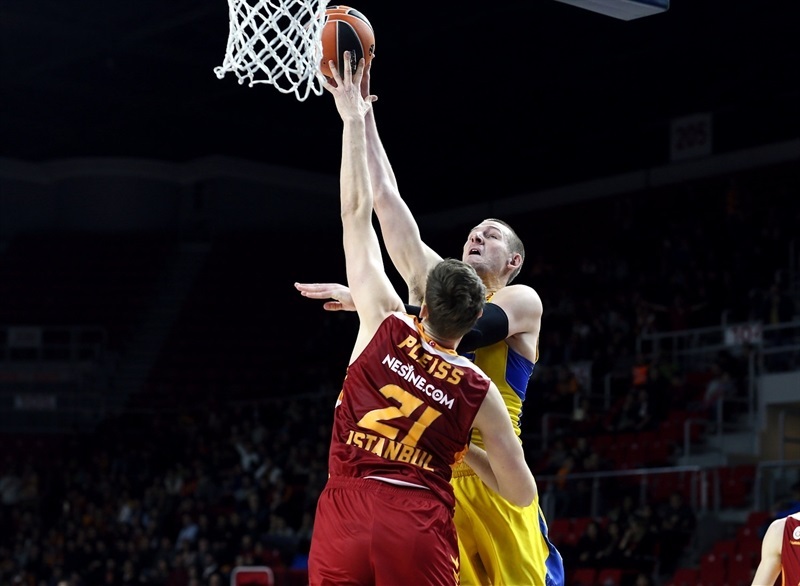 Galatasaray Odeabank Istanbul ended its historical five-game winless stint against Maccabi FOX Tel Aviv in emphatic fashion on Tuesday by pulling away to a 102-63 victory at home in Abdi Ipekci Arena. The result leaves both teams with 6-13 records, but Galatasaray also won the tiebreak between them as Maccabi won their previous game in Tel Aviv by just six points. 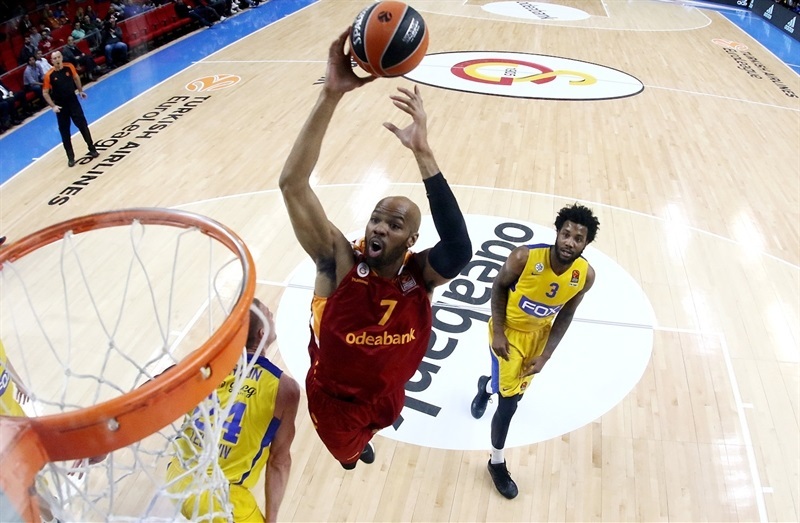 Galatasaray broke its own club EuroLeague records in its scoring total for a non-overtime game, in the winning margin of 39 points and in dishing 29 assists. It was Maccabi's worst loss in the EuroLeague this century, following a 100-65 defeat in Moscow to CSKA in 2014. Jon Diebler matched his career high by making 6 of 7 three-pointers en route to 21 points to lead the winners, who made 12 of 20 attempts from downtown. 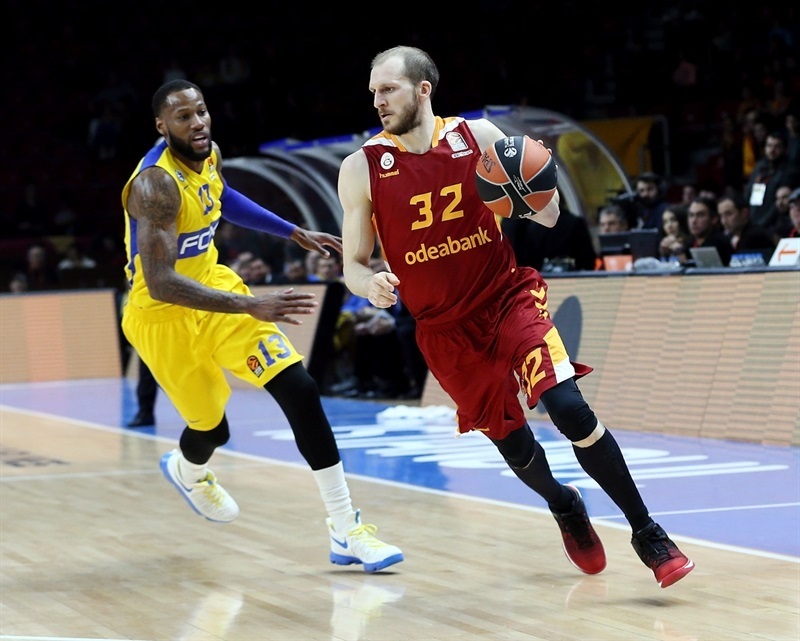 Alex Tyus scored 16 of his 18 points after halftime, while Tibor Pleiss scored all 16 of his in the first half. 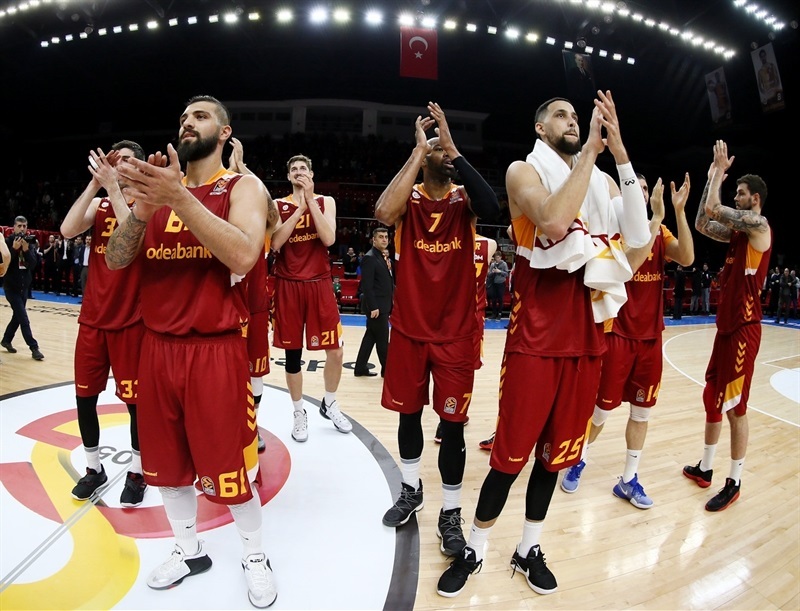 Vladimir Micov matched those 16 points and Blake Schilb had 10, while Sinan Guler dished a career-high 12 assists. 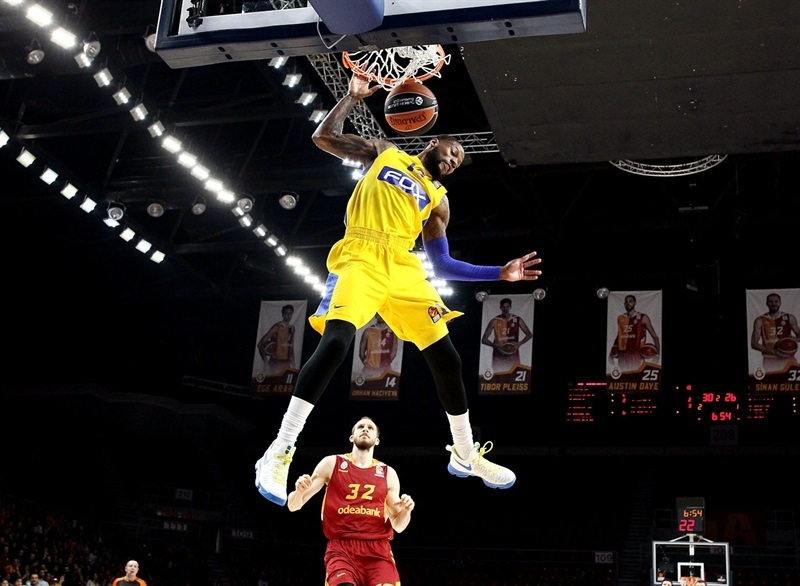 Maccabi got 22 points from Andrew Goudelock and 12 from Sonny Weems. 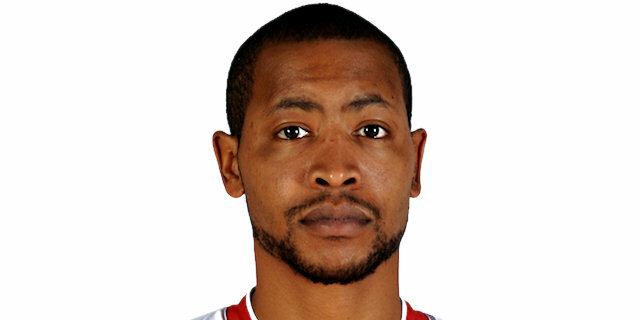 Goudelock hit 4 of 9 threes, while his teammates went 0 for 11. He and Weems shot 11 for 14 on two-pointers, while the rest of Maccabi went 11 for 33. An open dunk by Pleiss and a runner by Deven Smith got the scoring started. Pleiss continued strong with a jumper, a hook shot and a tip-in while Goudelock hit from downtown and Gal Mekel turned a steal into a fastbreak layup for the visitors. Free throws by Smith led to 9-9 tie that Micov broke with a baseline jumper. 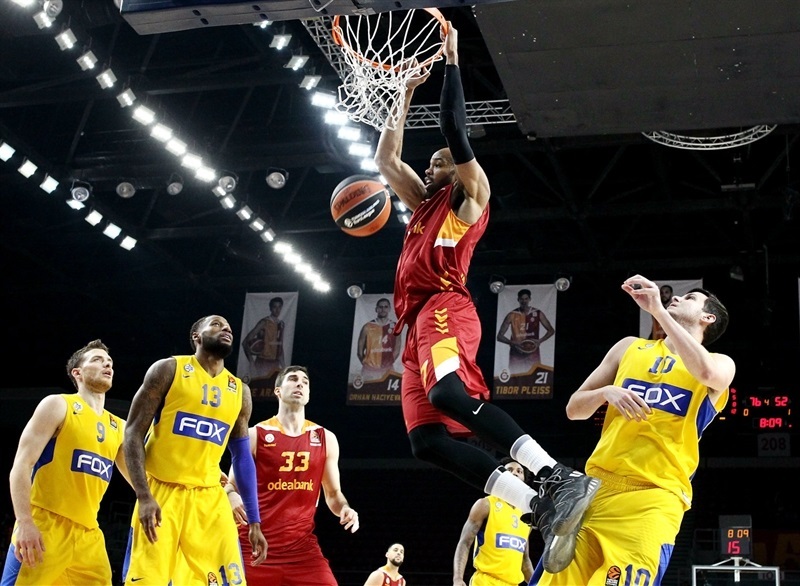 Guler and Goudelock traded layups before Micov dropped a jumper at 15-11. Rudd's scored despite an unsportsmanlike foul which he converted as a three-point play. Baskets by Pleiss and Schilb expanded the Galatasaray lead but Weems went backdoor on a pass from Guy Pnini to make it 20-16 after 10 minutes. 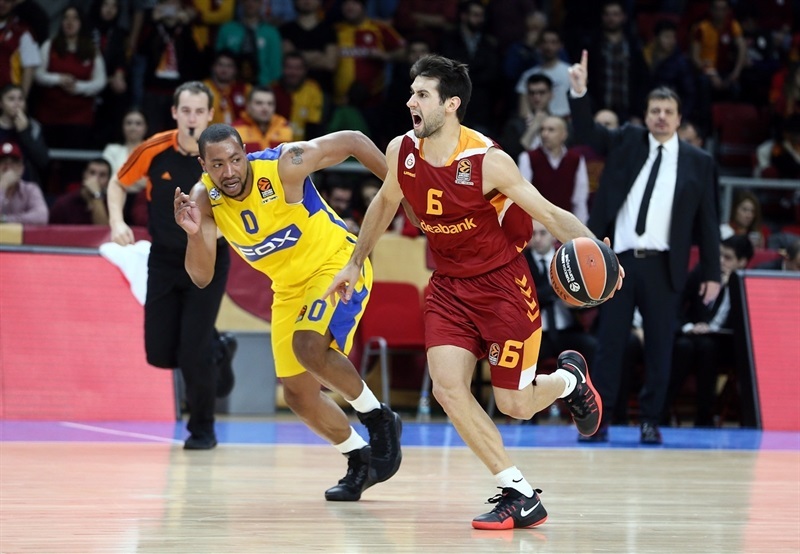 Bruno Fitipaldo stepped on the floor and immediately hit a jumper that Diebler bettered with Galatasaray's first three-pointer at 25-16 early in the second quarter. A drive by Weems was answered by a triple from Schilb at 28-18. Colton Iverson steadied Maccabi with 4 points inside, Tyus and Pnini got their first baskets, then Weems finished a fastbreak as Maccabi got within 30-26. Weems stole and dunked next, then Iverson slammed, too, on a fed from Victor Rudd to tie it up 30-30. Diebler broke the tie with a triple, Austin Daye went coast to coast, and Pleiss put back a rebound as Galatasaray regained a 37-30 lead. Pnini interrupted the run, but only until Daye's smooth triple made it 40-32. Iverson got 2 back and Goudelock 3 for Maccabi, but Diebler matched him at 43-37. Smith and Pleiss exchanged baskets before Guler's hit free throws, set up Pleiss for another dunk, and then drilled a three-pointer for the biggest lead yet, 52-39, at the half. 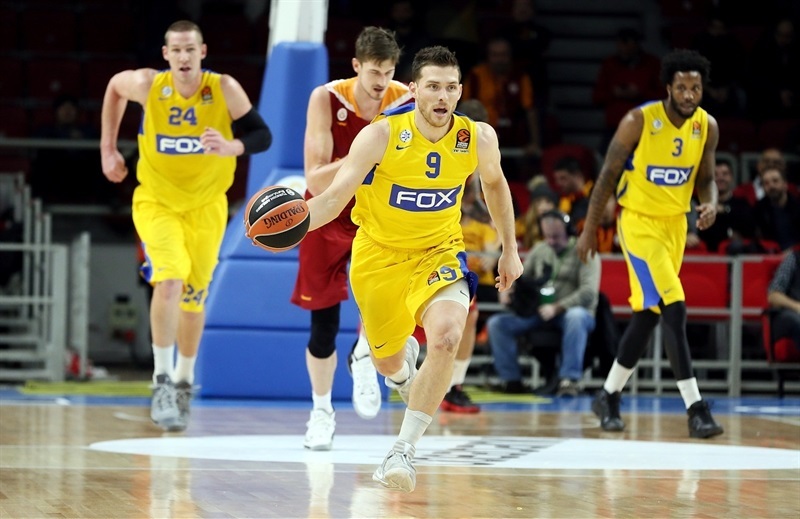 Micov and Mekel's baskets started the second half before Goudelock drilled a triple at 54-44. But Schilb appeared with back-to-back baskets to which Micov added back-to-back triples as the lead soared to 64-46. Goudelock and Yogev Ohayon got Maccabi closer before Diebler added his fourth from downtown at 67-50. Galatasaray kept rolling with a basket by Tyus and free throws to lead 72-52 after three quarters. The hosts continued doing what they wanted with a crowd-pleasing alley-oop from Guler to Tyus at 74-52. Tyus just kept making spectacular plays, including a blocked dunk against Rudd that led to Diebler drilling another triple at the other end for a 30-point difference, 86-56. 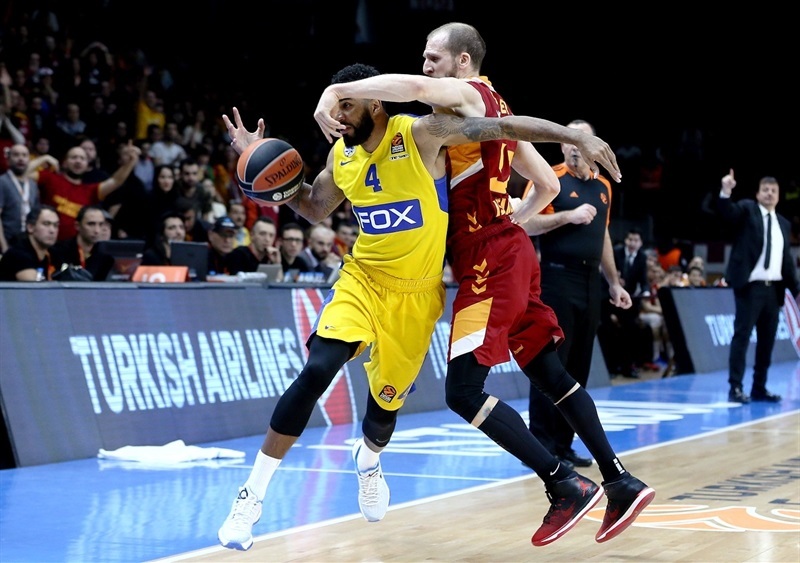 It was Tyus on the inside and Diebler from deep the rest of the was as everything went right for Galatasaray - and wrong for Maccabi - all the way to the finish. "In some games everything goes very well; tonight was one of them. We started the game as we planned. We constantly pressured the guards of the opponent with Goksenin and Sinan to prevent them playing their regular game. We didn't give them easy shot opportunities by double teams. We played amazing on offense, having 29 assists. Tibor Pleiss played a wonderful game in the first half." 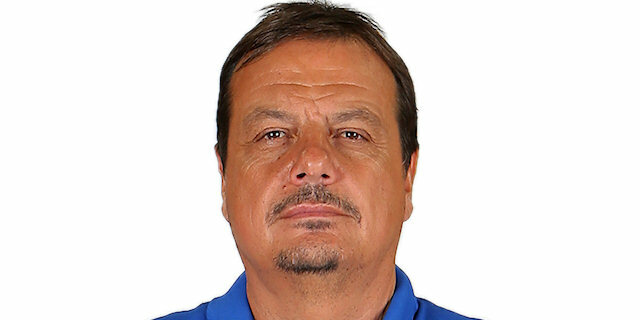 "Tonight we were very lucky, also me as a coach, because everything went well. 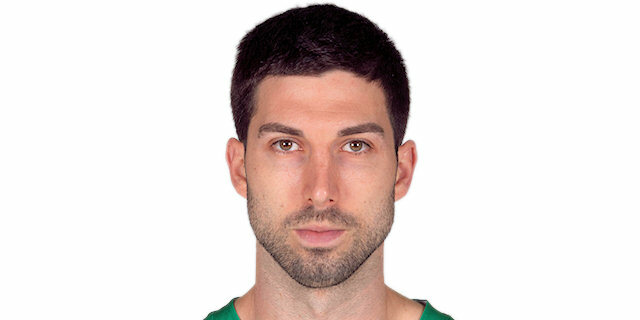 As I said at halftime, Tibor Pleiss would be tired, but we have Alex Tyus, a great player. And the second half went like this. Alex played great. But tonight everybody played a great game. Tonight was unbelievable also in the last seconds, Guy Pnini came to me and said, 'Coach, what is happening? You play unbelievable.' And I told him, 'Every time we go to Tel Aviv, Maccabi plays like this.' Tonight it was our turn. This is special for tonight, playing unbelievable on our home court. Fenerbahce is another team, a defensive team. It's a derby. So we will play and see what happens." 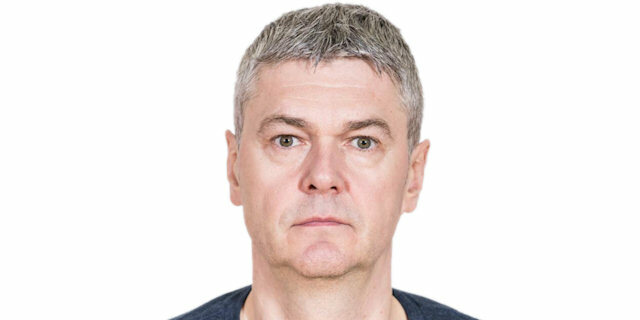 "If we have a little respect, we have a home game in two days against Kazan, a very good team, and will have to show that we know and can play basketball. It would be foolish of me to analyze now what happened to us so I'll do it only after the game. For sure we will need to play better quality basketball." "It feels good. It's been a rough year for us. There have been a lot of games we were winning, had the lead and given up the lead, but in this game, we had a 12-point lead at halftime and kept playing defense in the second half. We started really well, and on offense we just played well, made shots, shared the ball. It's good for our team to get confidence form playing like this. I made some shots. Our big guys did a great job of screening and rolling to the basket. And when they do that, it opens stuff up not only for me but for our other perimeter players. Our point guards did a good job of finding guys. We were making shots from three and from two, so it was a good offensive day for us. But to hold that team to 63 points is really good because they have a lot of talent on offense. We're just trying to take it one game at a time." "Our pick-and-roll defense was terrible. We just looked bad all the way around, offensively, defensively. Guys were holding their heads down. It was really bad, embarrassing. We just have to forget about it, we have a game in two days so we can't thing about it too much. It's good that we have a game in two days so we can't think about this too much. Guys are embarrassed, disappointed in themselves, in the team. When you lose by 40, everybody is going to be pissed off. This was a big game, we needed it, but this was a joke. They were celebrating in the fourth quarter: threes, dunking on us, it's a joke."